She was just seven years old, wandering lost and hungry in the wilderness, when the solitary hunter took her in. In the years since then, he's taught her how to survive in this desolate land where civilization has been destroyed and men are at the mercy of the elements and each other. But the man Elka thought she knew has been harboring a terrible secret. He's a killer. A monster. And now that Elka knows the truth, she may be his next victim. Armed with nothing but her knife and the hard lessons Trapper's drilled into her, Elka flees into the frozen north in search of her real parents. But judging by the trail of blood dogging her footsteps, she hasn't left Trapper behind--and he won't be letting his little girl go without a fight. If she's going to survive, Elka will have to turn and confront not just him, but the truth about the dark road she's been set on. 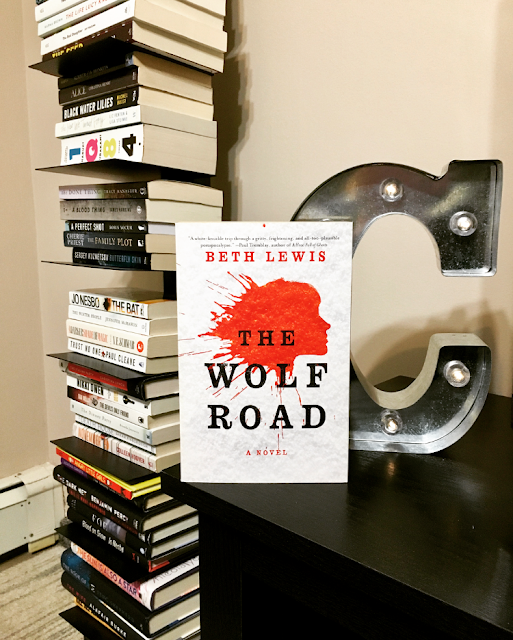 The Wolf Road is an intimate cat-and-mouse tale of revenge and redemption, played out against a vast, unforgiving landscape--told by an indomitable young heroine fighting to escape her past and rejoin humanity. Elka is a girl who gets lost, finds a surrogate Dad in Trapper and just needs to survive. Trapper teaches her how but doesn't show much warmth. After a decade under his care, she learns he's a killer and now the chase has begun. Will she outrun him or will he catch up to her and make her his next victim? This is an incredible read. The survival instincts of a child - see what you need to see, do what you need to do. As we see only through her perspective, we see her inner struggles, her revelations and her growth. It's nothing short of genius how Lewis lays this entire story out for us readers. She gives us Elka, a character you absolutely grow to love despite some of her actions and because of them. 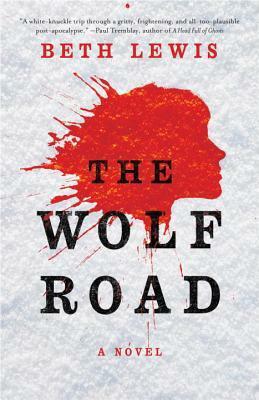 The world she lives in is hard and she takes the hard, wolf road to get to all her destinations. I felt like I was right there with her throughout her travels. Her naivety growing into lessons learned... hard ones at that. The help of a few people, one in particular, along the way. This is basically a story of a wild child finding her humanity and I'm not sure which lesson was the hardest here. In a gist, you should pick this book up, read it, hug it and tuck it away safely. I'll be thinking about this one for a long time.